Gear Gremlin have introduced deluxe motorcycle covers to their collection of really useful motorcycle accessories. Manufactured from a fine polyester with a PU coating, the Deluxe covers have taped and welded seams to make them waterproof, while twin air vents allow moisture to escape, preventing condensation build-up. A heat resistant soft white fleece is laminated onto the inside to protect bodywork. Helping to keep the deluxe cover in place is an elasticated hem, held securely in place by the strap and buckle system. 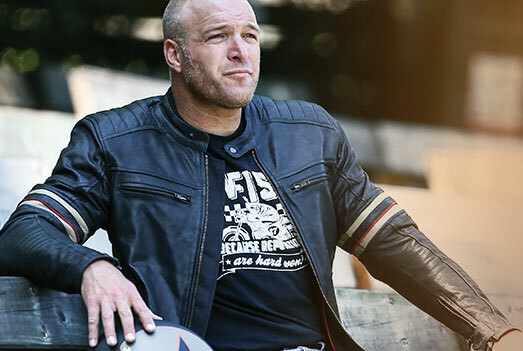 Weise® motorcycle clothing has been voted “Brand of the Year” by British motorcycle dealers. Product Manager Steve Phillips, who is responsible for the design and development of the Weise range of motorcycle jackets, jeans boots and gloves, collected the award at a ceremony during Motorcycle Expo, the UK’s biggest business-to-business exhibition for the motorcycle trade. Awards are made based on the highest number of votes by readers of British Dealer News, which is distributed to more than 10,000 people working in the motorcycle industry.